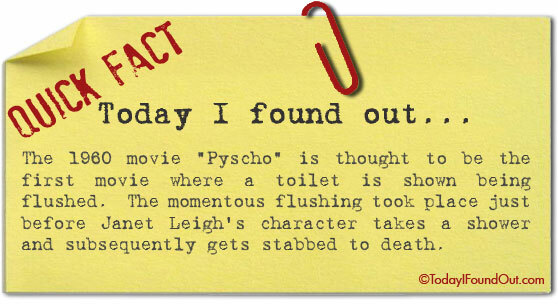 The 1960 movie “Pyscho” is thought to be the first movie where a toilet is shown being flushed. The momentous flushing took place just before Janet Leigh’s character takes a shower and subsequently gets stabbed to death. Yes, but that was only the sound of a flushing toilet. Psycho was the first movie to show it.